By now, you must be aware that fuel scarcity is looming across Nigeria - the type that you cannot explain its cause. So, it should not be a surprise seeing agencies like DPR suddenly become active and start romancing the media. The Operations Controller of the Department of Petroleum Resources (DPR), Abeokuta Field Office, Muinat Bello-Zagi, on Tuesday, led a team to visit some filling stations within the Abeokuta metropolis. There she warned petroleum product marketers to desist from defrauding unsuspecting customers. According to Bello-Zagi, the DPR’s major function is to ensure quality, quantity and safety standards in all oil and gas retail outlets. Bello-Zagi’s warning comes on the heels of reports that some independent marketers were planning to increase the pump price of petrol. “We also want everybody that comes to filling stations to go back home safely. In DPR, we have zero tolerance for incident of accident. “So, we are here today to monitor and ensure that the consumers are not shortchanged in terms of quality, quantity and also ensure safety standard,” she said. She said some filling stations visited fell below the tolerable limit in terms of quantity, warning that any station found under-dispensing the product would face stiff sanctions. “We have penalty for under dispensing. Once you are shortchanging the customers, the outlets will be penalised. We are here to protect both the customers and the marketers. “In some of the filling stations we visited, they were not under-dispensing, they were actually over-dispensing. “We normally tell them to correct their pumps because we don’t want them to run at a loss,” she added. 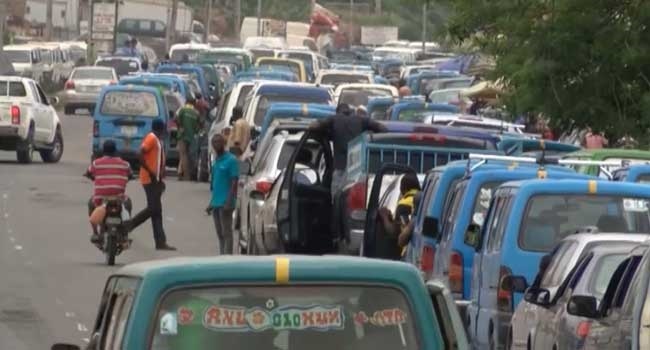 Bello-Zagi, who said monitoring and surveillance would be continuous, also warned residents to refrain from storing petrol, especially during the dry season.